Cheesey Chicken & Mushroom Grilled CrepesBBQ's aren't just for sausages and burgers! Fire up the grill and whip up a quick brunch, lunch or snack, using leftover ingredients, all packed nicely into a crepe. Many think the BBQ is only good for some or certain foods, however it’s actually a super versatile tool that can be used to cook up a real storm using loads of different ingredients. 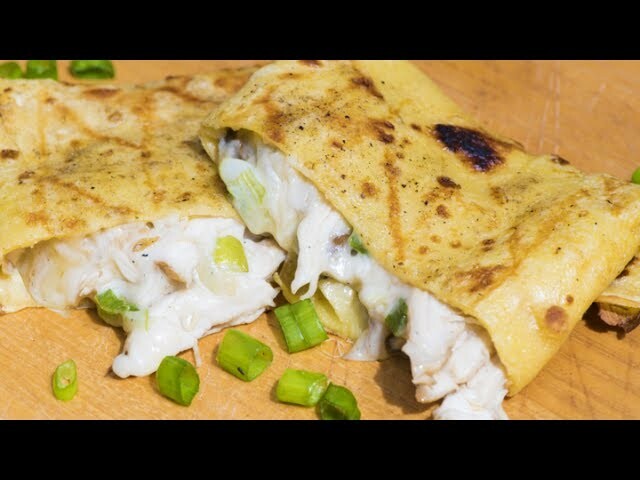 We’ve put together a simple recipe for a Grilled Chicken and Mushroom BBQ crepe that can easily be made using leftovers for breakfast, brunch lunch or even dinner!